Wow that's awesome! Can't wait for your new beta. I'd love to try and create a game with this modified engine. So here it is... there first working build of my Particle Engine "Unreal Enigma" with it's first official picture. 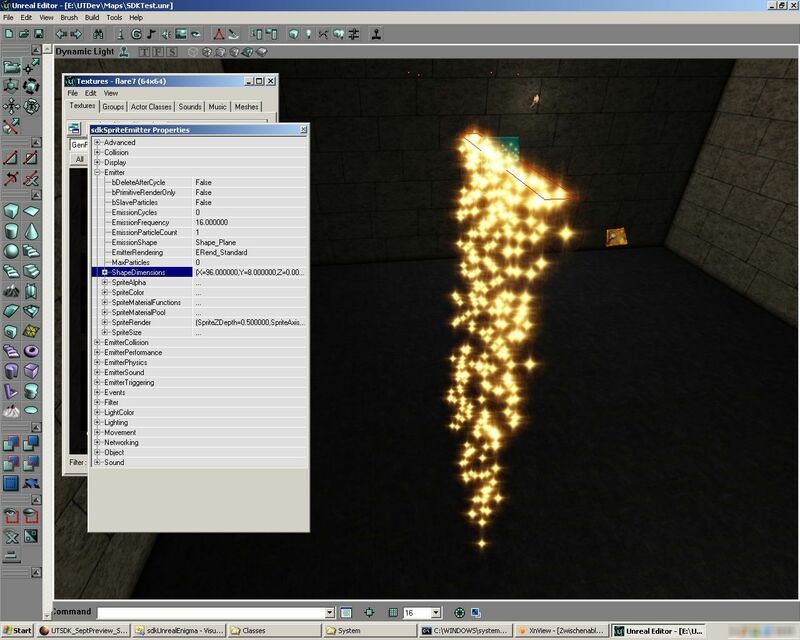 On it you see testing me a Sprite Emitter which draws spark-like Particles slowly falling down. It's running completely in C++ and also the fact that the Particles are no in-Level Objects like Actors gives an extreme speed boost. Again I apologize for the release delay, I hope to release the September Beta this week.